Teamwork spirit: Demonstrated ability to work effectively in teams; share responsibility for results, provide and accept feedback. Subject [Schneider Electric – 022019] Internal Communications & Employer Branding Lead – Full Name. 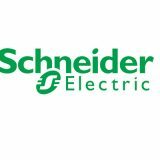 Tên doanh nghiệp: Công Ty Trách Nhiệm Hữu Hạn Schneider Electric Việt Nam Tên giao dịch: SCHNEIDER ELECTRIC VIETNAM CO., LTD Address: 7th Floor, Etown1, 364 Cong Hoa Street, Ward 13, Tan Binh District, HCMC, Vietnam. Tax code: 0313369606 Phone number: 028 38 103 103 - Ext: 84044 - Ms. Linh Schneider Electric is the leading global specialist in energy management and automation. With revenues of €27 billion in FY2015, our 170,000 employees serve customers in over 100 countries, helping them to manage their energy and process in ways that are safe, reliable, efficient and sustainable. From the simplest of switches to complex operational systems, our technology, software and services improve the way our customers manage and automate their operations. Our connected technologies will reshape industries, transform cities and enrich lives. At Schneider Electric, we call this Life Is On.